While the inactivation mutations that eliminate JAK3 function lead to the immunological disorders such as severe combined immunodeficiency, activation mutations, causing constitutive JAK3 signaling, are known to trigger various types of cancer or are responsible for autoimmune diseases, such as rheumatoid arthritis, psoriasis, or inflammatory bowel diseases. Treatment of hyperactivated JAK3 is still an obstacle, due to different sensibility of mutation types to conventional drugs and unwanted side effects, because these drugs are not absolutely specific for JAK3, thus inhibiting other members of the JAK family, too. Lack of information, in which way sole inhibition of JAK3 is necessary for elimination of the disease, calls for the development of isoform-specific JAK3 inhibitors. Beside this strategy, up to date peptides are a rising alternative as chemo- or immunotherapeutics, but still sparsely represented in drug development and clinical trials. Beyond a possible direct inhibition function, crossing the cancer cell membrane and interfering in disease-causing pathways or triggering apoptosis, peptides could be used in future as adjunct remedies to potentialize traditional therapy and preserve non-affected cells. 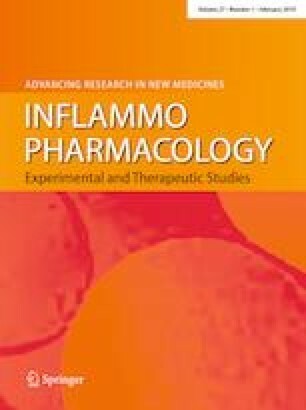 To discuss such feasible topics, this review deals with the knowledge about the structure–function of JAK3 and the actual state-of-the-art of isoform-specific inhibitor development, as well as the function of currently approved drugs or those currently being tested in clinical trials. Furthermore, several strategies for the application of peptide-based drugs for cancer therapy and the physicochemical and structural relations to peptide efficacy are discussed, and an overview of peptide sequences, which were qualified for clinical trials, is given. We would like to acknowledge the Conselho Nacional de Desenvolvimento Científico e Tecnológico (CNPq) and the Coordenação de Aperfeiçoamento de Pessoal de Nível Superior (CAPES) for scholarships. We would also like to thank the University of Vale do Taquari-UNIVATES and the Secretaria do Desenvolvimento Econômico, Ciência e Tecnologia do Rio Grande do Sul (SDECT) for financial support. The author(s) did not declare any conflict of interest.